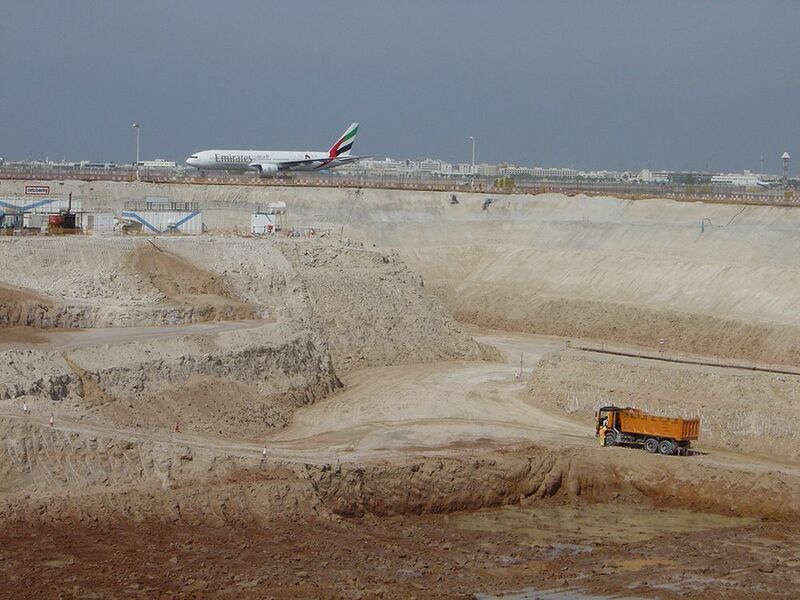 WJ Groundwater have completed several projects at Dubai International Airport. 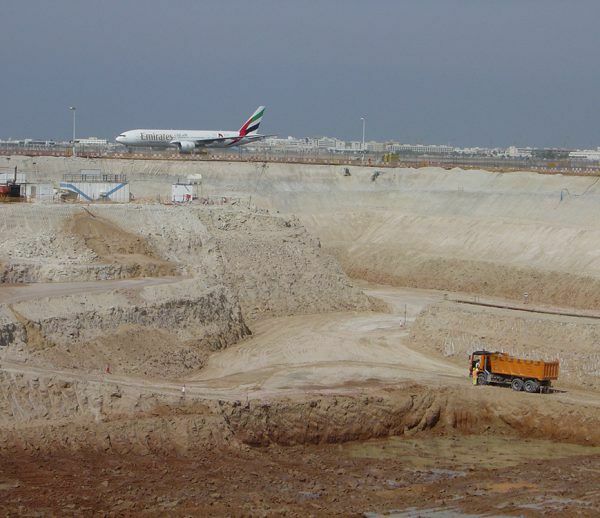 This commission saw us use wellpoints to dewater the length of a new stormwater and fuel line that was being installed by ALEC at the Dubai International Airport. 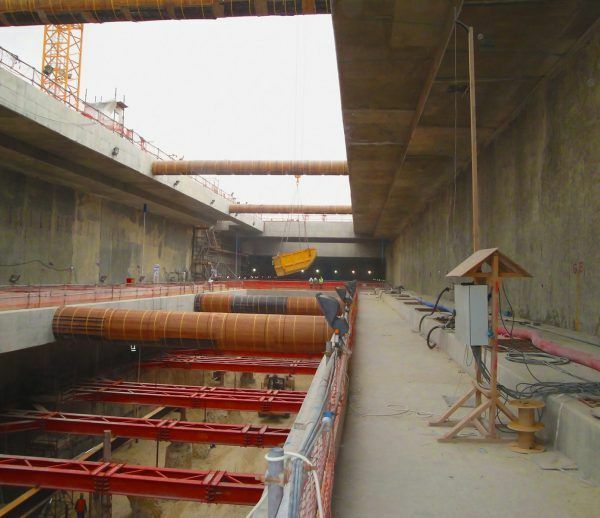 WJ installed a single sided wellpoint system to provide the Main Contractor with clear access to the trench from one side to undertake excavation work and to install the storm water pipeline and fuel line without obstructions. As ALEC wanted a quick installation and speedy drawdown, instead of using conventional jetting techniques, the wellpoints were installed using WJ’s SM14 rotary drilling rig. The trench was dug in the open with stepped face to maintain stability. 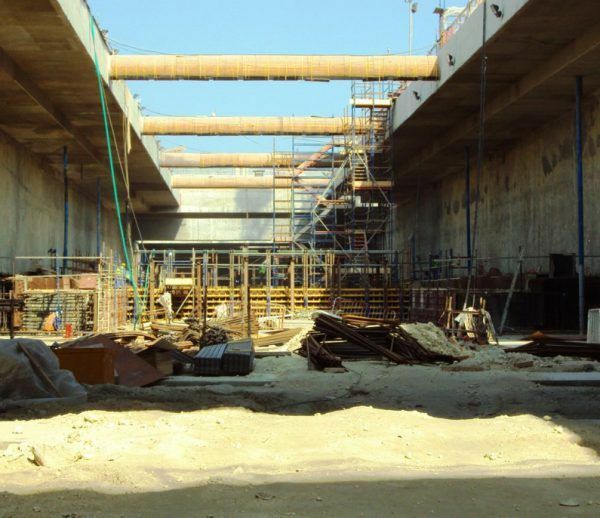 WJ were chosen to undertake the works as they have been working on the airport for over 10 years and have considerable knowledge of the ground conditions, were extremely competitive, and maintain up to date landside and airside gate passes for their dedicated airport engineers and technicians. 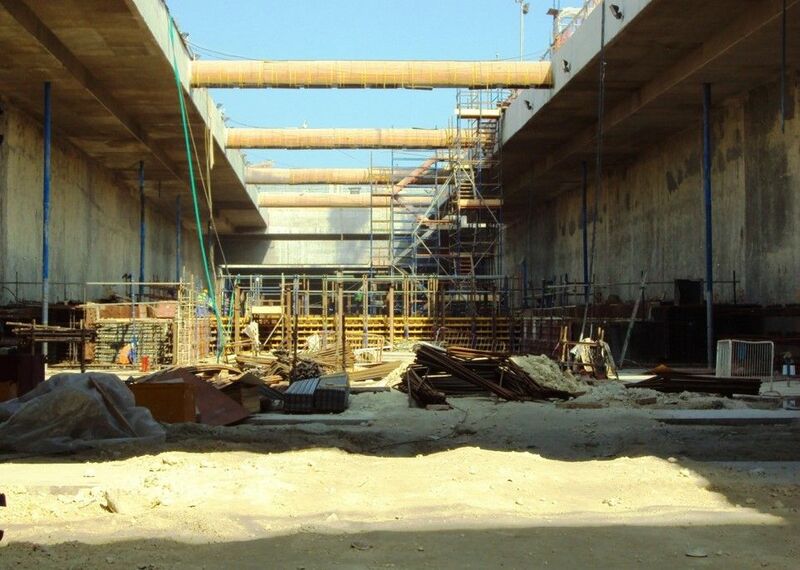 The project went extremely well and the engineers on site were impressed by the tidiness of the installation. 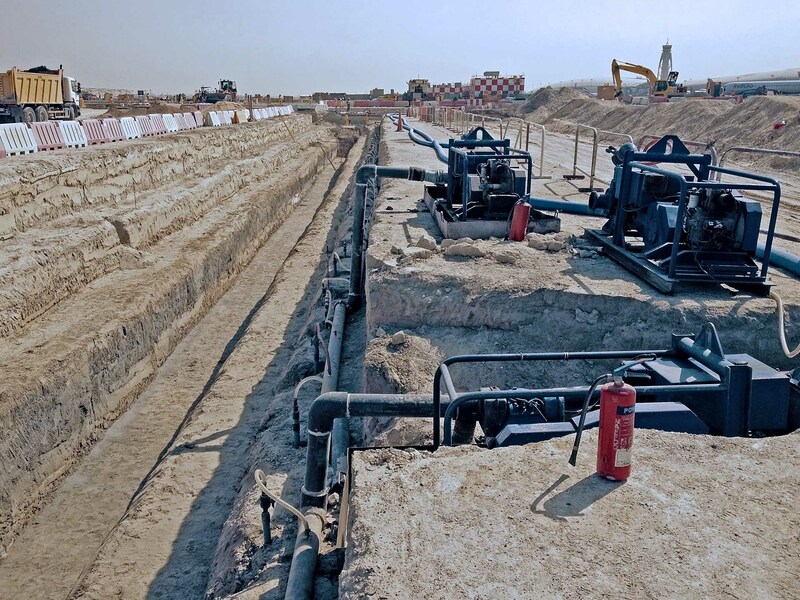 WJ used diesel wellpoint pumps connected to a central headermain to draw the water out of the ground. 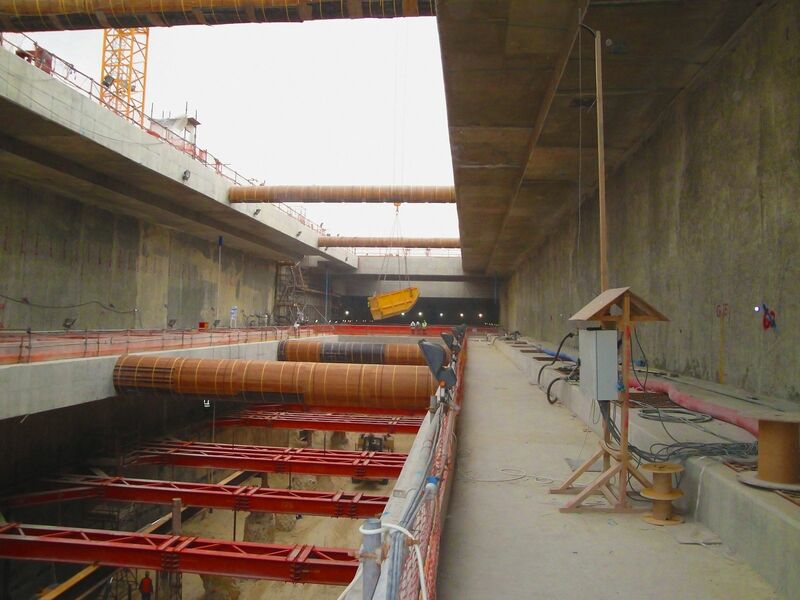 Contact WJ Groundwater today to find out how we can assist you with pipeline dewatering.